Home » » Star Profile - Mr. Femi Falana SAN, LL.B, B.L, FCI, Arb. 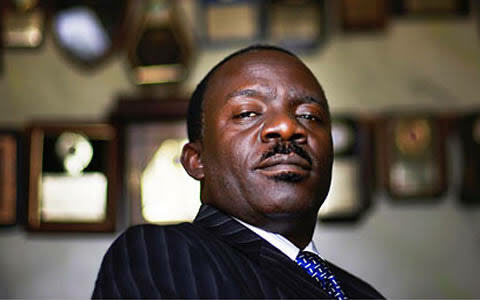 Star Profile - Mr. Femi Falana SAN, LL.B, B.L, FCI, Arb. Femi Falana, a native of Ilawe , Ekiti State, Nigeria was born on May 20, 1958. Femi Falana’s primary education began at St. Michael’s Primary School, Ilawe, between 1963 and 1968. After which, Femi attended Sacred Heart Catholic Seminary between 1971 and 1975. Upon gaining admission into the University of Ife (Obafemi Awolowo University), he studied law between 1977 and 1981 and was called to the bar a year after. He worked with the Public Complaints Commission between 1982 and 1983 and practiced as a lawyer under the firm of Alao Aka –Bashorun & CO. between1983 and 1991. In 1991, Femi Falana began his own Chambers which is now known as Falana and Falana Chambers, having his wife Funmi as a partner a partner. Femi Falana, popularly known as a human right activist, has championed legal causes in support of human rights all through his legal career. He is renowned for providing free legal services to the poor and disadvantaged and had suffered long spells in detention under Nigeria’s past military dictators. Femi also contested and lost the governorship election of Ekiti State in 2007 on the platform of National Conscience Party, a party he served as National Chairman in 2011. Femi Falana belongs to many Professional Memberships and held various leadership positions such as President, West African Bar Association, Member, Nigerian Bar Association and Member, West African Bar Association, Member, Pan African Lawyers Union and Member, International Bar Association. Mr Femi Falana ia a recipient of National and International Awards / Honour. some of which are: “Defender of the year Award” from the international league for Human Rights in 2000; The Ogoni merit award – 2002; Dr Kwame Nkrumah leadership award 2003; and Bernard Simon memorial award for the advancement of human rights- 2003. Falana & Falana’s Chambers is a leading law firm in constitutional law and human rights services. His firm has also represented many victims of human rights violation in Nigerian Courts and the ECOWAS Community Court. Is Mediation as expensive as Litigation?